This pattern is composed of 16 sub-sections, 12 of which are pieced. Our class will meet three times and work on 4-5 sections each visit. Please note: This class requires basic knowledge of how to use a sewing machine. 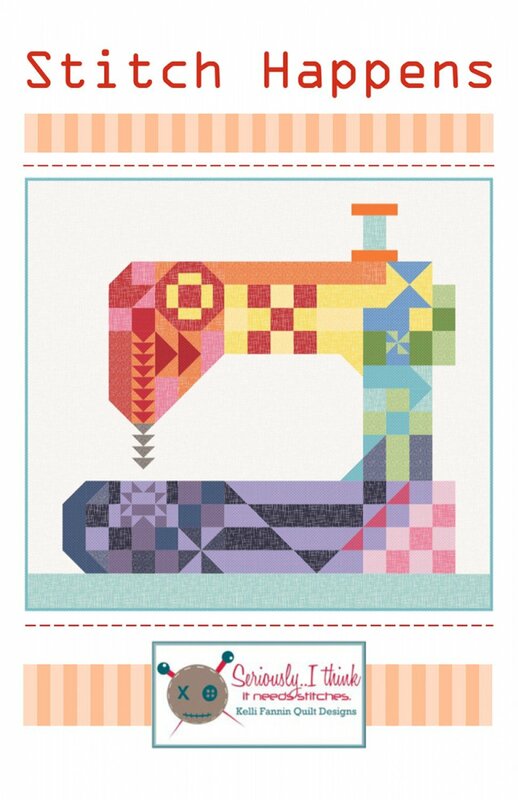 You must be able to sew a straight ¼” seam and completely thread your machine and bobbin pathway on your own. Fabric yardage as listed on back of pattern: Most of the pieces can be cut from 2-1/2 inch strips which makes this jelly roll friendly. The main exceptions to this are fabrics 4 and 6 for Part F and background pieces. Rotary Cutter with new blade. We will be doing lots of cutting! 6” x 24” ruler (not needed until third class) Please note: It is very helpful to have all these rulers made by the same company. Sewing machine in good working order; please clean the bobbin area. All supplies are available at Quilting Adventures. We are happy to help you select the appropriate fabrics and supplies for your class and count on your support for this small, locally owned business in order to bring you high quality merchandise and excellent class instruction. As a student, you will receive a 10% discount on all supplies for the class in which you are enrolled once the fee is paid. We also offer a 20% discount when you purchase a rotary cutter, ruler, and mat all together. Enlarge the coloring sheet image on page 1 of your pattern. Use color pencils, markers, etc. to shade in your color choices. Pretreat dark fabric that will be placed next to a light fabric by rinsing it under hot water, squeezing out excess moisture, and laying it flat on a plain white paper towel (no background design) overnight. If there is a stain remaining on the paper towel in the morning, repeat the procedure until all color stain is gone. If your cell phone has a camera feature that allows manipulation of color and value, this will be very helpful when making color choices in class.